What is Cinnamon basil? Also known as Mexican basil, cinnamon basil is native to the world’s tropical and subtropical climates. Cinnamon basil plants thrive when temperatures are in the 80s and 90s (27-32 C. or more.). This basil plant displays dark green leaves and cinnamon-colored stems. Cinnamon basil plants contain cinnamite, a compound that gives the herb an intense, spicy aroma and cinnamon-like flavor. 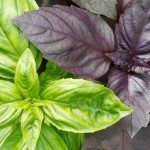 Interested in growing Cinnamon basil? It isn’t difficult. Read on for more Cinnamon basil info. Cinnamon basil is sometimes used medicinally, and is said to be good for maladies such as constipation, headaches, cough and diarrhea. It contains vitamins A and C, and provides a generous amount of vitamin K. The spicy herb is appreciated by chefs too, who use it as an attractive garnish or to flavor hot drinks or other dishes. The easiest way to grow Cinnamon basil is to purchase small plants from a greenhouse or nursery. However, you can plant the seeds directly in the garden after all frost danger has passed. If you want to get a head start on the growing season, start seeds indoors four to six weeks before the last frost. 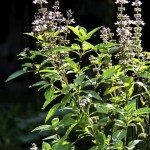 Cinnamon basil requires full sunlight and well-drained soil. Dig a generous amount of compost or well-rotted manure into the soil before planting. Allow plenty of space for Cinnamon basil, as the plant can reach heights and widths of up to 3 feet (1 m.). Water Cinnamon basil plants as needed to keep the soil lightly moist but never soggy. Cinnamon basil grown in containers should be watered whenever the top 1 inch (2.5 cm.) of potting mix feels dry. Don’t over water, as basil is prone to rot in muddy soil conditions. A thin layer of mulch will help keep the soil moist and prevent evaporation. Pinch the tips of Cinnamon basil as the plants grow to produce full, bushy growth. Remove the spiky blooms as soon as they appear. Snip leaves and stems any time during the growing season. 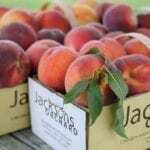 The flavor is best when the plants are harvested before they flower. Watch for pests such as aphids and spider mites. Most pests are easily controlled in regular use of insecticidal soap spray.